Replenishing shampoo for dry and damaged hair. Delight your senses with the delicate scent of mimosa flowers and tonka beans, and let organic oat extract help strengthen hair, reduce breakage and mend split ends. Made with 72% organic ingredients, Oat Replenishing Shampoo contains organic jojoba seed oil to restore, protect and smooth the hair’s surface, while organic sage leaf extract revitalizes and protects from damage. For those converting to natural hair care from conventional, we recommend using the Oat Replenishing Shampoo in combination with the Oat Replenishing Conditioner. 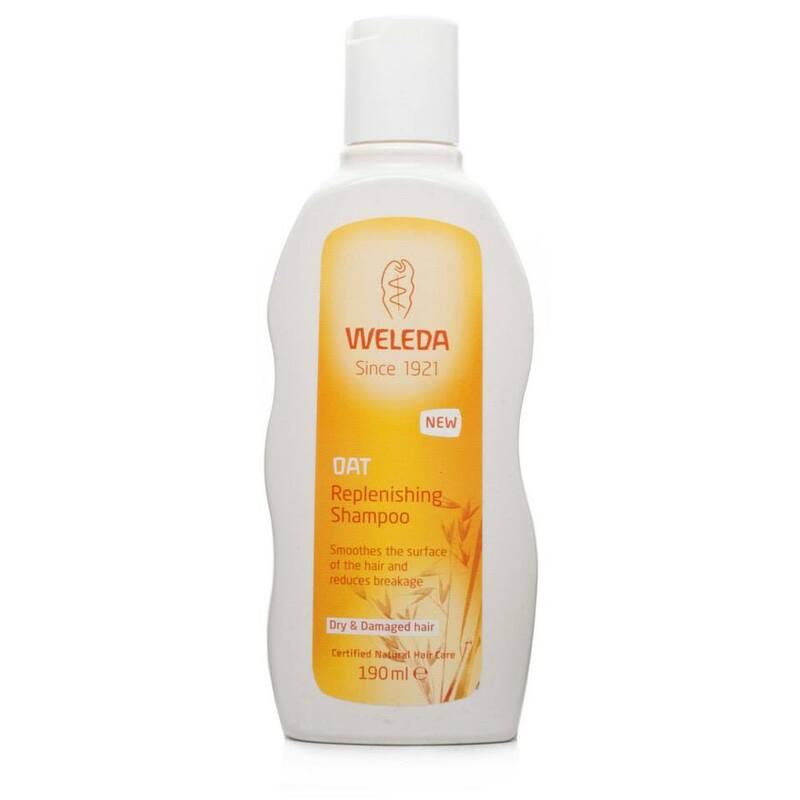 The mild, biodegradable surfactants in Weleda hair-care products ensure excellent cleansing despite producing little foam and are tailored to the individual needs of the scalp and hair.